For more than 20 years, Leica has been renowned as the pioneer of laser range finding products. Now Leica is continuing its success story by introducing the next generation of the popular Geovid laser rangefinder binoculars with an improved integrated ballistic system. 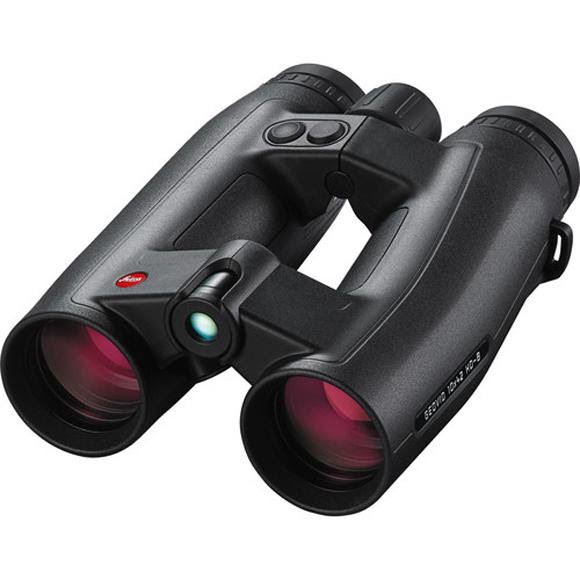 With the newly developed ballistic function ABC (Advanced Ballistic Compensation) in the GEOVID HD-B binocular, it provides the proper aim point for the hunter and shooter. The integrated, highly precise ballistic processor of the new range finder can gather the necessary information - analyse the ballistic information within a split second and one touch of the button to give precise information for the correct hold over, turret adjustment or drop down reticle aiming point. This means for the calculation of the trajectory, not only the distance, but the angle, temperature and air pressure are taken into account. This practical Rangefinger is an ideal companion and you wont&apos;t want to leave home without it. First time in history binocular and gun becomes one. Program online your ballistic data and put the card into the microSD card slot inside the battery housing.